Who says grass has to stay on the ground? 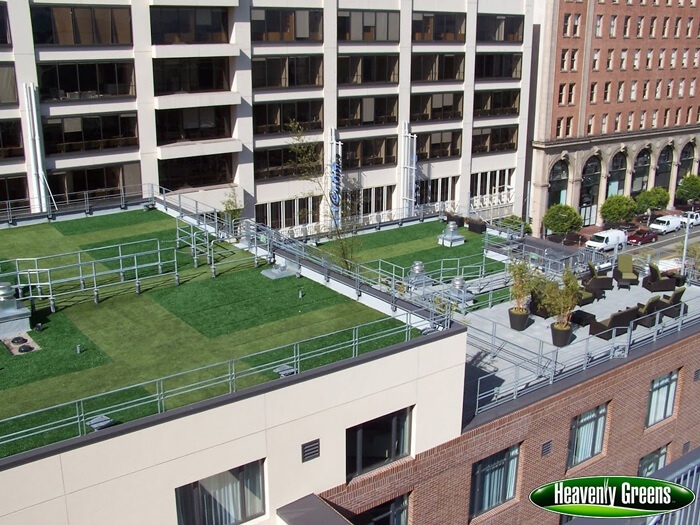 With artificial turf from Heavenly Greens, you can create a rooftop lawn, bocce court or putting green. Top-quality artificial grass is far lighter than natural grass, requires virtually no maintenance and always looks gorgeous without a drop of water. Install it over almost any surface, including walls – indoors or out. Get the CADdetails here. 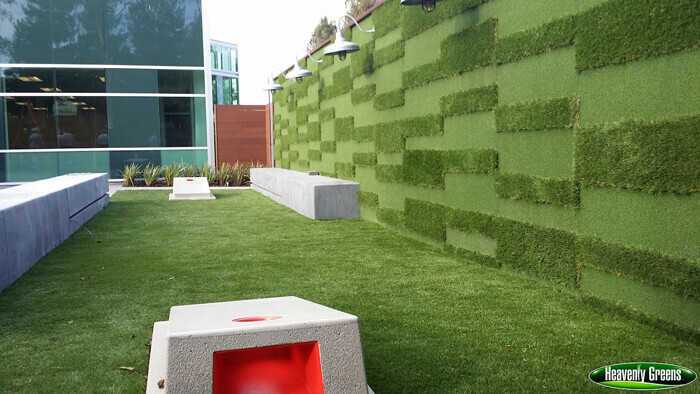 A designer wanted to install a living wall in this Santa Clara leasing office. They quickly realized that artificial turf was far more versatile than natural grass. 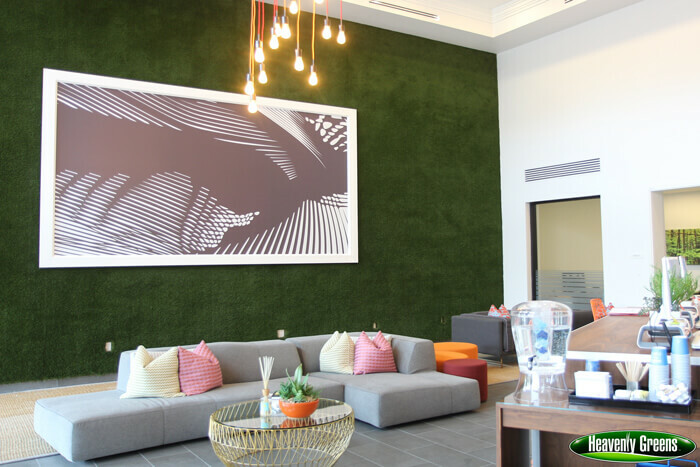 We installed the turf around an abstract art installation to go with the modern, yet elegant design of this office.